Vote forBundaberg, QLDTop Regional Destinations Which are Australia's must-visit destinations? You help us decide. An underrated and occasionally overlooked - yet quality - Queensland base for exploring the Great Barrier Reef's southern portions (as well as home to a fantastically warm climate) Bundaberg is mostly famous throughout Australia for its signature rum, yet provides so much more for the aspiring traveller. 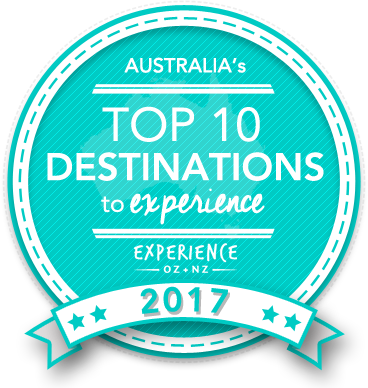 The city offers a number of quality cultural attractions in addition to being a springboard to one of Australia's greatest natural wonders. Why it's special: Queensland's home of rum, turtles, macadamias, and a picturesque marina, Bundaberg is a popular destination for international travellers looking to avoid big cities and embrace the rural east coast. Built upon the back of the sugarcane industry but developing into a fully-fledged city and a worthy tourist destination in its own right, despite its low-key reputation for travel "Bundy" has a number of key points that make it well worth an inclusion on any Queensland itinerary. The city sits only a short distance from the ocean, and a short drive is all it takes to encounter some truly magnificent beaches available along the coastline - including, most famously, Mon Repos at which it's possible to witness sea turtles laying or hatching eggs in the company of a ranger for a truly magical experience. These suburban, coastal areas of Bundaberg - particularly Bargara - will likely serve as the home base for first-time visitors as they offer a range of quality waterfront resort accommodation that bring wonderful ocean views along with them. This ocean-adjacent aspect of Bundaberg is one of its biggest drawcards for another reason, too: a close proximity and easy access to reef hotspots Lady Elliot and Lady Musgrave Islands means both are just a short flight away, with each island bringing a number of different benefits to the table. The city of Bundaberg itself is by no means a slouch, either, carrying an inherent laid-back, country atmosphere mostly populated by regional farmers and other crop-growers, with a welcoming attitude to tourists from afar. It's host to a number of essential attractions to visit for first-timers; a tour of the Bundaberg Rum Distillery is an obvious must, comprised of several individual aspects including a museum, processing plant, bottling area and culminating in the chance for sampling. Its Botanic Gardens is also exceptional for a regional city, and houses the excellent Hinkler Hall of Aviation which honours the life of one of Australia's most famous aerial figures. The city's main street of Bourbong Street is also pleasant for a stroll and has remained in an enjoyable condition even as the city has expanded; there are plenty of lovely local stores at which to browse as well as eateries nearby. Add it all up and you've got a far less touristy - and relatively cheaper - platform for a Great Barrier Reef adventure that's well worth considering in Bundy. Looking to pay a visit to Bundaberg but not sure what to do? Here are a few of its most essential experiences. What's new in the Bundaberg in 2016/2017? Visitors can take their turtle experience to the next level when they swim with the gentle giants (plus manta rays, clown fish and the rest of the Great 8) on the coral reefs of Lady Musgrave and Lady Elliot Islands the next morning. Approval was granted to development of an RV-friendly location that can accommodate up to 50 fully self-contained vehicles for road trippers. Need more info on Bundaberg? Check out our detailed travel features on this top spot below. Perfect for holidaymakers with kids, couples on their own, or solo travellers and groups of friends, there's something for everyone at Bundaberg. Read on below to find out more! Is Bundaberg Australia's Top Regional Destination to Experience for 2017? Vote now for the chance to WIN an epic trip to one of Australia's top destinations!